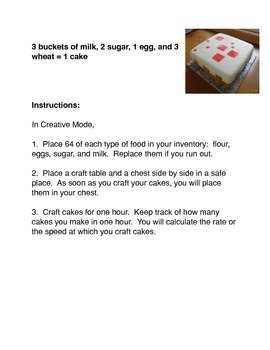 Minecraft: Let Them Eat Cake! Minecraft: Let Them Eat Cake! 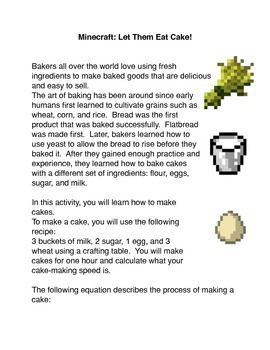 Is a common core lesson that allows students to play the Minecraft game and apply their mathematical skills. 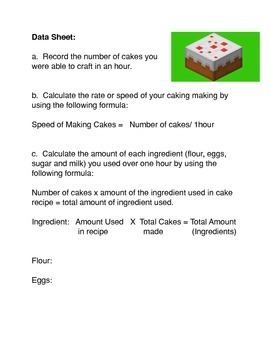 Students will learn to bake cakes and calculate the rate or speed at which they make their cakes in one hour. 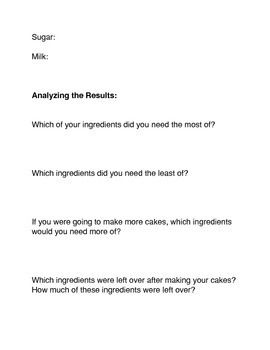 They will also calculate the amount of ingredients that they used during this process.